Professional practice allows you to participate in a coordinated and extensive practical program in a range of schools and centres enabling you to put theory into practice. Under the guidance of experienced professionals you will develop the knowledge and skills of a beginning teacher in real teaching environments. Depending on your chosen course, your professional practice may take place in childcare centres, kindergartens, pre-primary, primary or secondary schools. Our ongoing relationships and established partnerships with over 600 schools will allow you to gain this experience in a range of settings including public, private, city or remote schools. You will work with children from differing economic, social, ethnic and educational circumstances. Our Professional Practice Office will guide and support you through your professional practice program, arranging and coordinating your school and centre placements. Your professional practice program will require you to be available on a full-time basis during scheduled periods throughout your course. The dates of these scheduled periods are non-negotiable as they are linked to study and involve arrangements with schools and centres. You can view each course’s program on our Calendar web page. All students over the age of 18 require a National Police History Check and a Working with Children Check before being able to participate in professional practice. For further information please visit the Clearances web page. 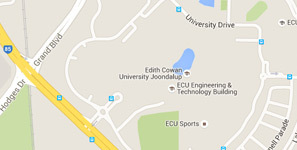 ECU retains responsibility for all liaison with schools in the placement of students on professional practice. Because of its responsibility for the education, safety and well-being of children in schools, the teaching profession demands the highest professional standards and personal ethics.